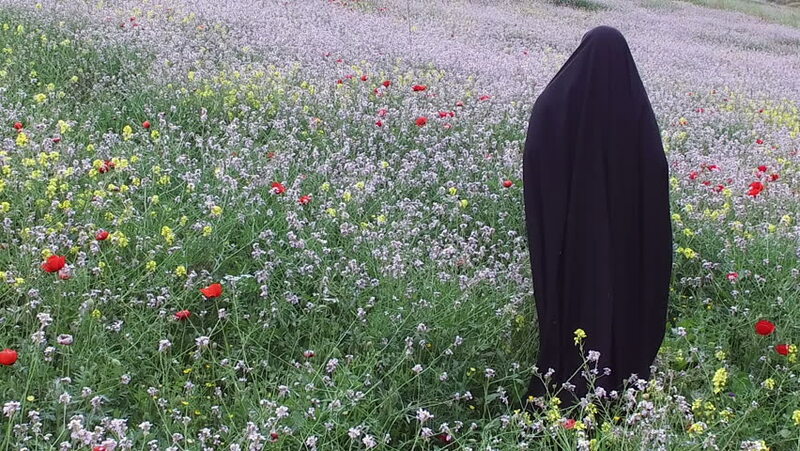 Muslim woman in a black dress on a flower field. hd00:15A flower bed of red and white flowers. London. hd00:21Field of colorful of flowers in the garden.